This wonderful new interview series with Judy Mastrangelo is all about the movies. This is a seven part series… Let’s delve in! Films have always inspired my life and my art, ever since I was young. They fulfill needs for fantasy, excitement, etc., which can be experienced vicariously by everyone who loves to partake in the adventure of this delightful art form. I don’t watch movies all day long, only when I have some time to spare for them. But many great movies stay with me forever in my memory. Several of the films I mention here, I’ve seen several years ago. But they were so enjoyable that sometimes they will come to mind, and I’ll enjoy thinking about them and the actors who were in them. I find the realm of film a magical place of enrichment for my soul, since when I visit it, I can become other characters, visit fascinating lands, and partake in exciting adventures. Personally, I enjoy both the old and the new films. They each have something to offer. SHERLOCK HOLMES – To my mind, BASIL RATHBONE and NIGEL BRUCE portray the perfect Sherlock Holmes duo. This early series, based on the books by Sir Arthur Conan Doyle, is set during the Second World War. But even though this time period was not Doyle’s original intention, it is still delightful. Once in a while, I make a mistake and refer to Basil Rathbone as “Sherlock Holmes.” Sometimes actors become so very believable as their characters that people tend to really identify them with these fictional characters. My second favorite Sherlock Holmes series done in 1984 stars Jeremy Brett. It was set in the actual time that Doyle intended it to be in. JEREMY BRETT’s portrayal is very believable as the nervous, brilliant and quick-witted sleuth. 2001: A SPACE ODYSSEY – A great futuristic film by Stanley Kubrick based on the story by Arthur C. Clarke (1968). Kubrick always has great use of music, and the opening bars of “THUS SPOKE ZARATHUSTRA” by Richard Strauss is an extremely memorable opening to the film. STAR TREK – My favorite Star Trek series is the original one, with Leonard Nimoy as Spock and William Shatner as Kirk. I also very much enjoy the TV series STAR TREK: THE NEXT GENERATION starring the great Patrick Stewart as Captain Jean-Luc Picard. The stories were wonderful, as was the acting, etc. All of the Star Trek movies were great also. THE AGONY AND THE ECSTASY with Charlton Heston as the great artist and Rex Harrison as the Pope Julius II. This 1965 movie is beautifully done and filmed on location. It’s fascinating to see Michelangelo in the process of painting the Sistine Chapel, and all of the conflict and turmoil that went into the creation of this masterpiece. LUST FOR LIFE – In this 1956 film, Kirk Douglas portrays the sensitive and troubled artist Vincent Van Gogh. I feel it is one of Douglas’s greatest films. He was a great choice for the part, since he even resembled Van Gogh. Charles Laughton beautifully portrays the famous artist Rembrandt van Rijn in this 1936 film. He brings this unfortunate genius to life for us. Today, this great artist’s original paintings command millions of dollars, but when he was alive, he could barely get enough money to buy food and art supplies. It was so sad. Laughton, who really resembles the artist in this old film, does a wonderful acting job. MISS POTTER ~ 2006 ~ About the life of artist Beatrix Potter. She is beloved for her children’s book animal stories and illustrations. This film was a great delight for me, since I am a great fan of Beatrix’s artwork. HANSEL AND GRETEL: An Opera Fantasy – This 1954 movie of the beautiful opera, with magnificent music by Engelbert Humperdinck, is a lovely childlike film with the characters done as stop motion animated figures. These puppets were called “Kinemans,” and took many years to create so that they looked very lifelike, with wonderful movements and facial expressions. It’s a real classic, like a fairy tale come to life. This opera is one of my personal favorites. IMMORTAL BELOVED ~ 1994 The premise of this film is most likely a fictionalized theory that Beethoven’s nephew was his love child from an affair with his sister-in-law, but it is very enjoyable. Gary Oldman is a great actor and portrays Beethoven’s spirit well. Paul Wesley – I think he is one of the most handsome male actors on TV of today. Hayden Christensen – He played Anakin Skywalker in Star Wars Attack of the Clones and Revenge of the Sith. Louis Jourdan – He played Gaston Lachaille in Gigi. Toby Regbo – He played King Francis II in REIGN. Keira Knightley – A stunning elegant beauty. Liv Tyler – She played Arwen in Lord of the Rings. She is a lovely, dreamy looking sweet beauty. Michelle Dockery She played Lady Mary Crawley in Downton Abbey. A very elegant woman. What an imaginative and beautifully done film this is, starring Barret Oliver as a shy Bastian, who goes into a fantasy world with a dragon, gnomes, and many other delightful characters. It is one of my favorite fantasy movies. Two more sequel films came after this first one, but this still remains my favorite of the three. MGM wanted Shirley to star in THE WIZARD OF OZ film as Dorothy, but they couldn’t use her since she was not permitted to break her contract with the film studio she was working with at the time. So, as an alternative, she was cast in a fairy tale written by Maurice Maeterlinck with co-stars Nigel Bruce and Gale Sondergaard, etc. It was a beautiful fantasy movie but not very successful. A memorable scene to me was where she meets children waiting to be born. The beautiful backgrounds are reminiscent of a gorgeous Maxfield Parrish painting. This great “cast of thousands” is a sumptuous version showing the torrid, stormy and steamy great romance between Cleopatra (Elizabeth Taylor) and Anthony (Richard Burton). In the making of this movie, these two great actors fell in love in real life, which led to a real life torrid, stormy and steamy marriage between them. This is the magnificent ill-fated romance between Padmé (Natalie Portman) and the young Anakin Skywalker, who later becomes Darth Vader (Hayden Christensen). I feel this is a beautifully done film, with wonderful acting, sets, and story. I love the music by John Williams also. I feel Peter is one of the greatest living directors of Fantasy today, most notably, his movies based on the films written by Tolkien. They all have fantastic and imaginative scenery, plus amazing and endearing fantasy characters: Lord of the Rings, The Hobbit. Capra was a great director (winning 3 Oscars for Best Director, Producer and Writer), who created some of the most beloved films, including “IT’S A WONDERFUL LIFE.” His films had some very popular actors such as James Stewart and Gary Cooper. I find them all very heartwarming, and always a delight to watch. This is the second part of our interview with Judy Mastrangelo. Judy is a talented artist and author who has worked on a variety of projects. I would strong recommend that you check out her books on Amazon. With this interview I wanted to delve into the creative process behind her art. Why don’t we ask a few questions and see what nuggets we can learn from this very talented person. When I was young, I was asked to play the piano in front of my school during an assembly. My teacher told me that I could not use my sheet music, and had to play the piece from memory. I sat down at the piano, and my mind went blank. So after just staring at my hands for a few seconds, I then stood up and had to walk away, as I heard the embarrassing sounds of a giggling audience. I feel that to see the world as a beautiful place, all fitting together in an amazing way, is a wonderful artistic way to look at life. 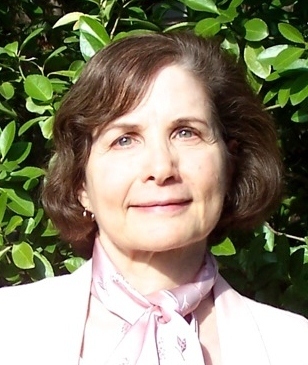 This interview is with Judy Mastrangelo. Judy is a talented artist and author who has worked on a variety of projects. I would strong recommend that you check out her books on Amazon. I do my artwork since it is my main talent, and I love it so much. It gives me great joy to create, and I always have the hope that I will inspire others with my art. I create when I come to the time of day where there is free time to relax, medi-tate, and paint to my heart’s content. I come from an artistic family. Both of my parents are artists. My mother paints mostly realistic figures and landscapes in oil with a palette knife. My father is a sculptor, watercolorist, and caricaturist. My brother is a professional classical and flamenco guitarist and music arranger.